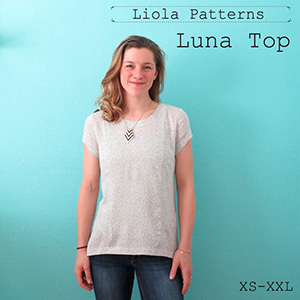 The Luna Top is a relaxed fit ‘go-to’ top. This is the top you will want to wear everyday! It is so comfortable and easy to wear whilst looking very sytlish. 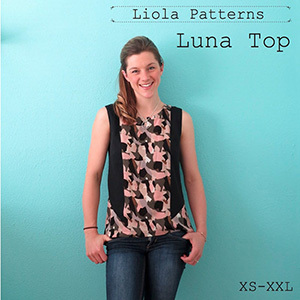 With three sleeve length options; sleeveless, short sleeve and long sleeve, the Luna Top can be worn in any season. Featuring a bust dart for shaping, flattering contrasting panels and a hi-low hem. The neck edge and hem are finished with a facing. 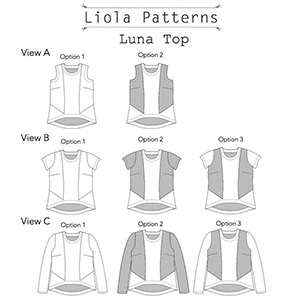 The design lines of the Luna Top have been created to compliment the body whilst allowing for endless creativity. Play around with different color blocking and fabric combinations. 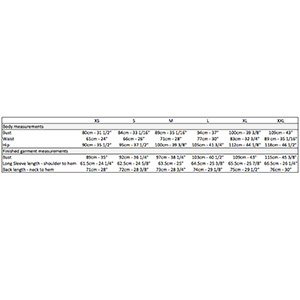 Suggested fabrics are lightweight wovens such as rayon challis, peach skin, and crepe de chine.